How to Get Rid Of Bed Bugs: A Complete Guide For Your Airbnb features Michelle Himden, founder of Cityamy, a short-term rental management company. Michelle has become an expert in dealing with and eliminating the ever-present Bed Bugs, and she shares her proven methods for how to eradicate them once an infestation has occurred. From prevention to extermination, you will learn it all! 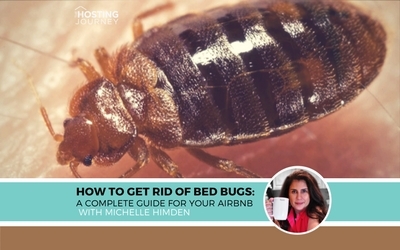 Tune in and say goodbye to those Bed Bugs in your Airbnb!